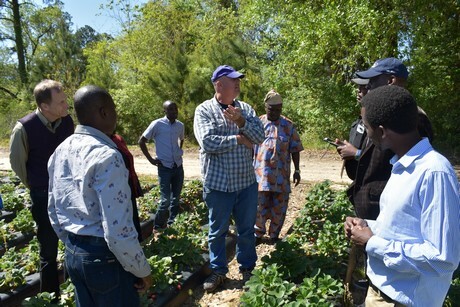 While migrant workers harvested row after row in Eric Morrow’s strawberry field, international visitors stood amazed at the harvesting process. The group is in the U.S. for two weeks to learn about postharvest loss management of fruit, vegetable and grain crops. The group of 11 agriculture sector leaders is part of the U.S. Department of Agriculture Cochran Fellowship Program, which trains agricultural professionals from middle-income countries, emerging markets and emerging democracies. The program, named for former Mississippi Sen. Thad Cochran, allows visitors to work with U.S. universities, government agencies and private companies. Since its beginning in 1984, the program has provided training for more than 14,300 fellows from 123 countries. The group made its visit while strawberry producers were in the middle of their season. 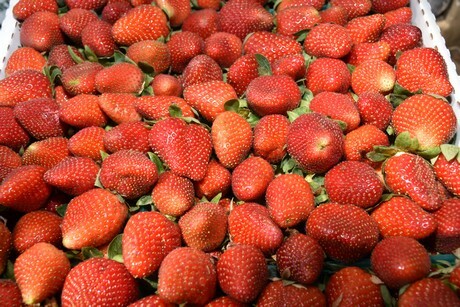 Morrow began berry harvest in January and expects it to continue into early May. “We began planting the crop in mid-October and are now at what is normally the height of the season,” he said. Tangipahoa Parish was once known as the “strawberry belt” because of the large number of producers and the large acreage of the crop. But with the loss of labor and other factors, the number of growers and acreage has continually decreased in recent decades. “We are probably down to about 20 growers now, and they will probably be around,” Morrow said. That number is down from several hundred growers when strawberries were being shipped to the Midwest and East Coast markets, he said. The visitors said they would like to grow strawberries in their countries but feel the intensity of the labor required would not make it feasible. 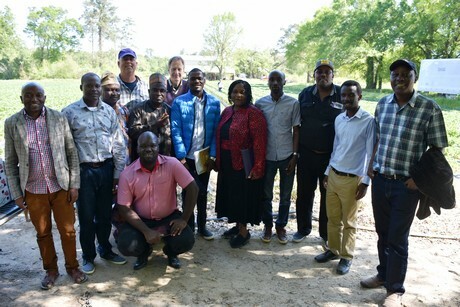 The information and knowledge gleaned by the delegates during their training at LSU will be used to reduce market losses of fruit, vegetable and grain crops in their home countries, Picha said. In addition to the on-campus training activities, site visits for the delegation are scheduled to production, storage and food crop postharvest handling facilities throughout south Louisiana. The delegates visited Associated Grocers and Capitol City Produce food distribution centers in Baton Rouge and the LSU AgCenter H. Rouse Caffey Rice Research Station and USDA Grain Inspection Facility in Crowley. Louisiana farm visits included Thibodeaux Brothers rice, soybean and crawfish operations in Midland, Covey Rise vegetable farm in Husser, and Morrow’s strawberry and vegetable farm in Ponchatoula. The group also will travel to California to look at postharvest systems there before returning to their home countries on April 7.